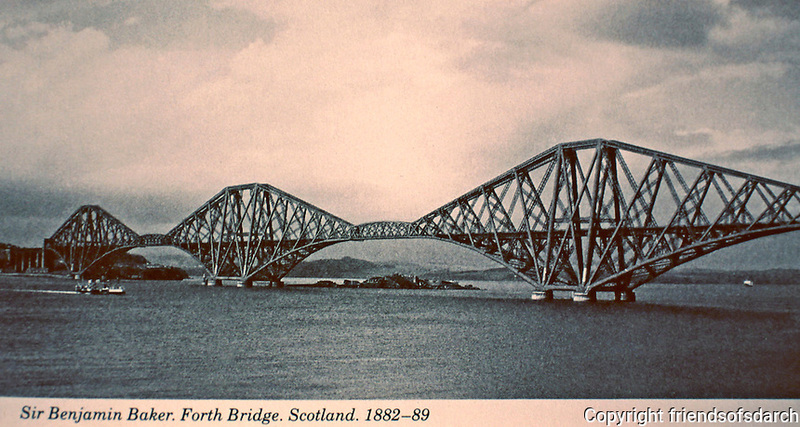 Forth Bridge in Scotland, 1882-89 designed by Sir Benjamin Baker. UNESCO World Heritage Site. It is a 2.5km-long, 110m-high cantilever bridge on the River Forth.